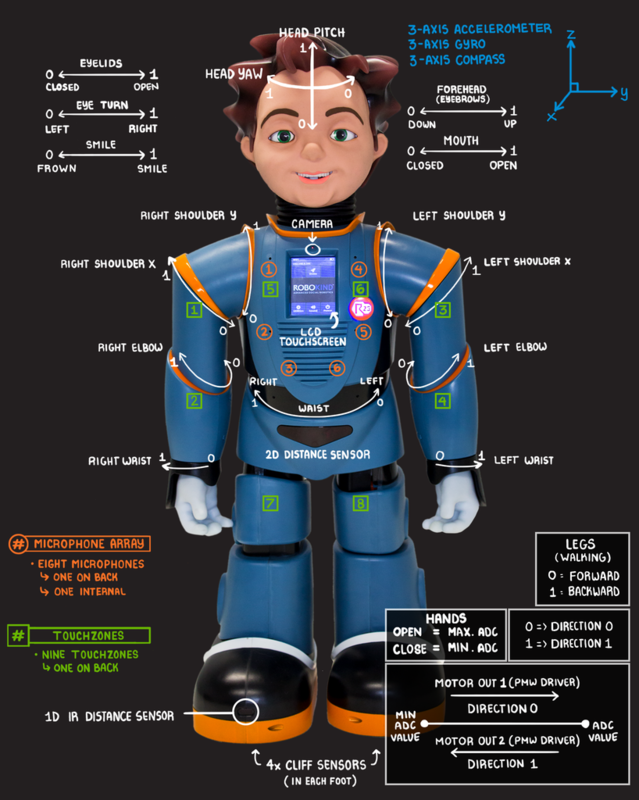 With robots4STEM, students learn visual programming through the use of a personalized avatar and Jett, the most advanced, facially-expressive robot. Creates unlimited access and opportunity for developing fundamental coding and programming skills. 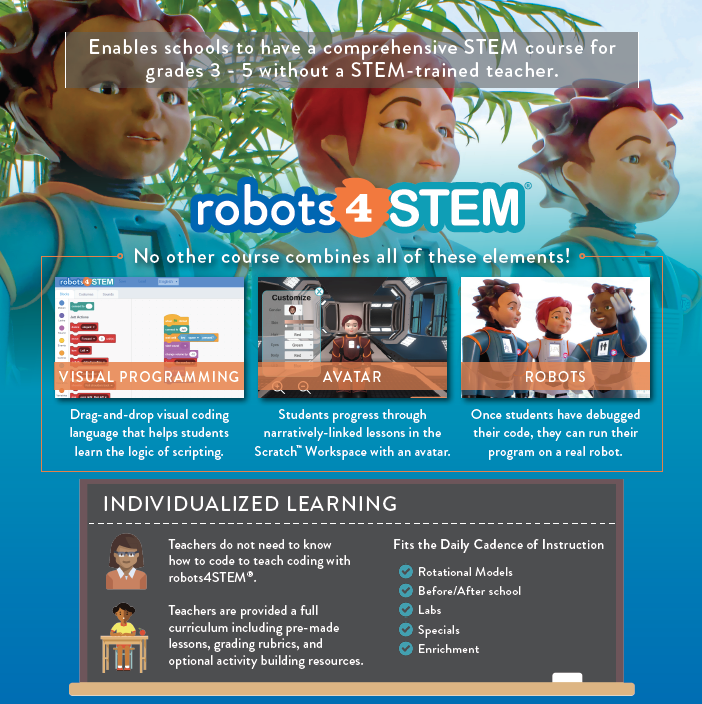 Easy to implement and does not require educators to have prior experience with coding or programming. Ease of use creates flexibility of scheduling within or outside the instructional day. Over 72 HOURS of learning designed for ease of implementation to make learning code engaging, exciting, and empowering for learners 3rd through 5th grade.